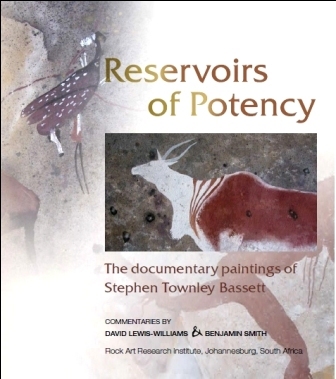 Stephen Townley Bassett has for the past 23 years devoted his time to the meticulous documentation and preservation of South Africa’s rock art heritage. 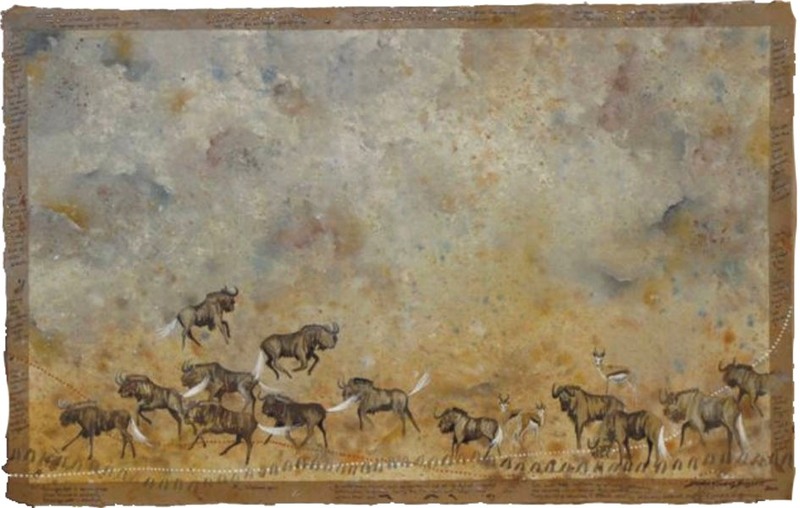 His paintings reveal a wealth of detail and imagery that is often faded and barely visible to the untrained eye. 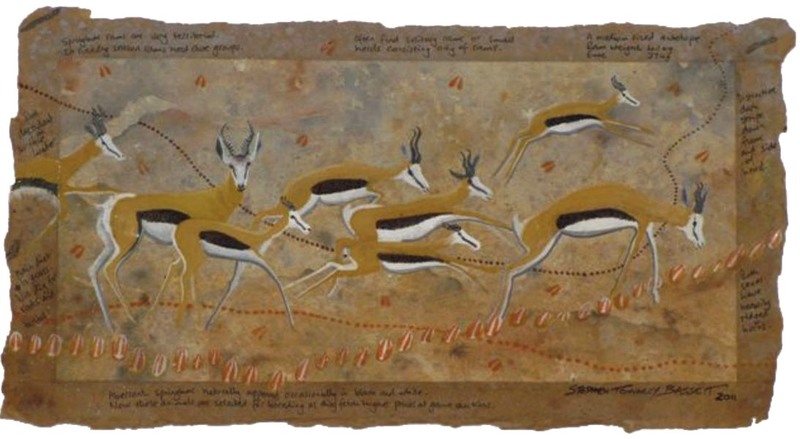 His primary interests lie in the accurate full colour documentation of the art, as well as research into pigments, paints and implements used by the early hunter-gatherers of the southern African region. His millimetre accurate, life-size recordings are painstakingly rendered with natural pigments and materials collected in the field. While the process would seem fairly simple in theory, the practicality is much more complex. 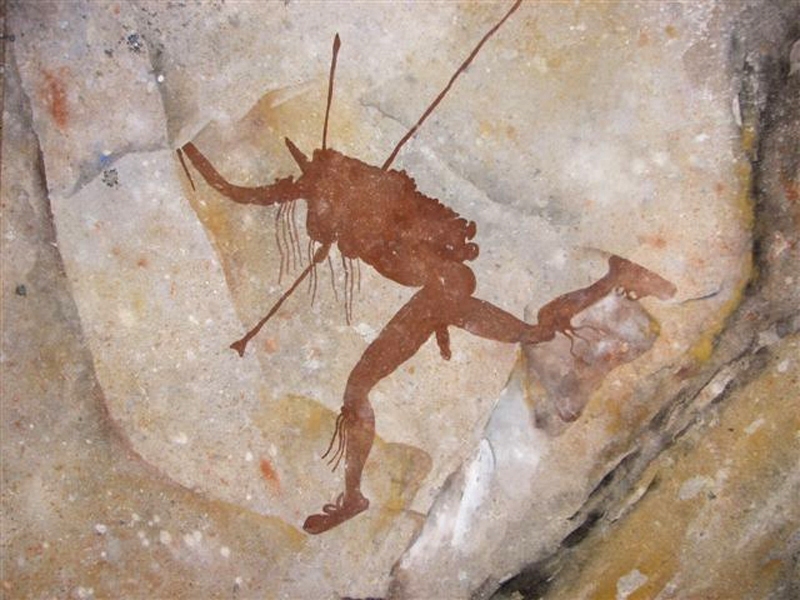 Documenting rock art as authentically as possible meant using only the tools and materials that would have been available to early cave artists. 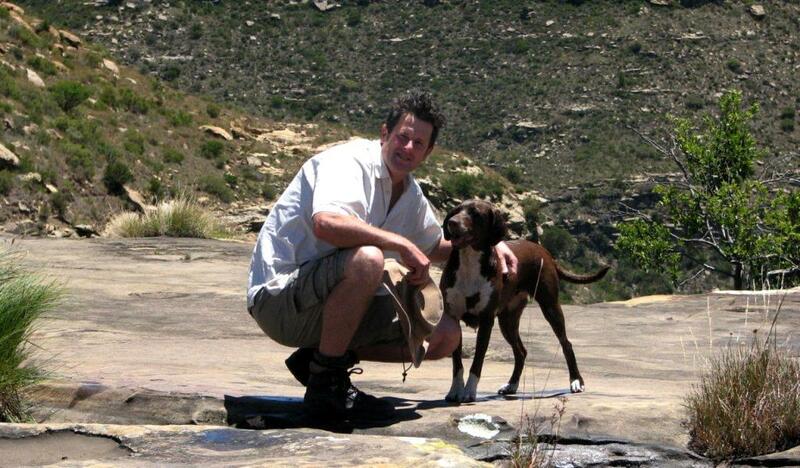 This required one to step away from the norm and try to think as the Bushman would have thought. Stephen needed to discard the modern tools he was using. Pocket-knives, spatulas, plastic and metal containers, and commercially available brushes where a serious no-no. 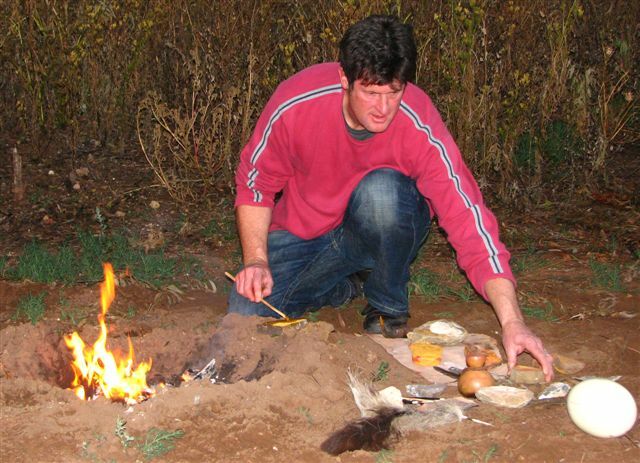 He began experimental archaeology using only materials he could find in the field. Using an extract from his book “Reservoirs of Potency”, Stephen best sums it up. 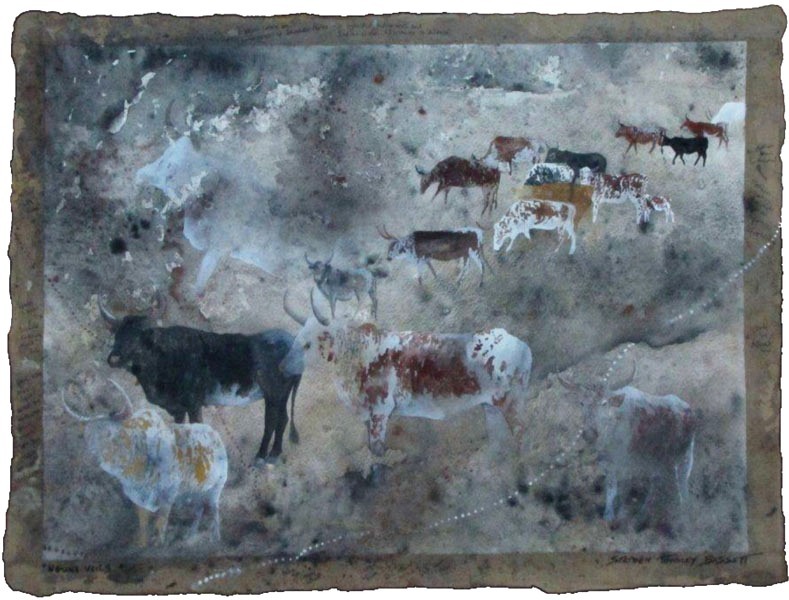 Stephens’ travels in search of rock paintings have taken him through a variety of landscapes and it is those experiences and observations while on these field trips that has led him to embark on a new form of artistic expression. 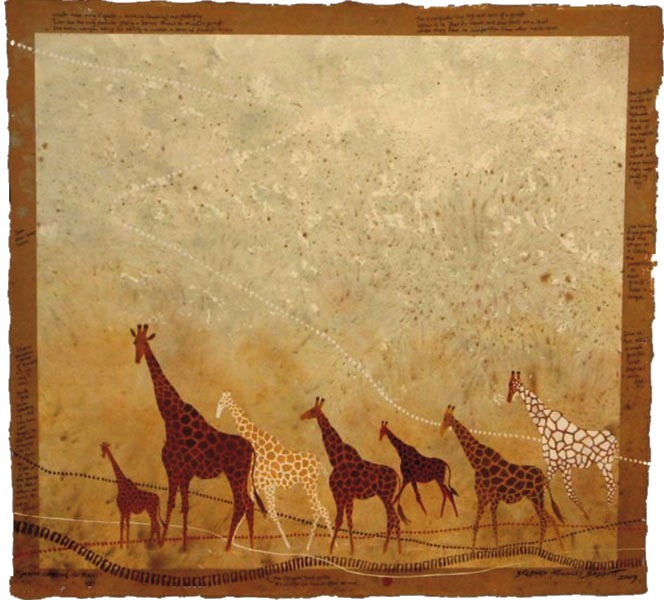 In his latest Dreamlines Collection, Stephen seeks to provoke thought, reflection and humour – creating wildlife art that is unique, allowing him to tell his own story and reflect Africa, in a captivating way. 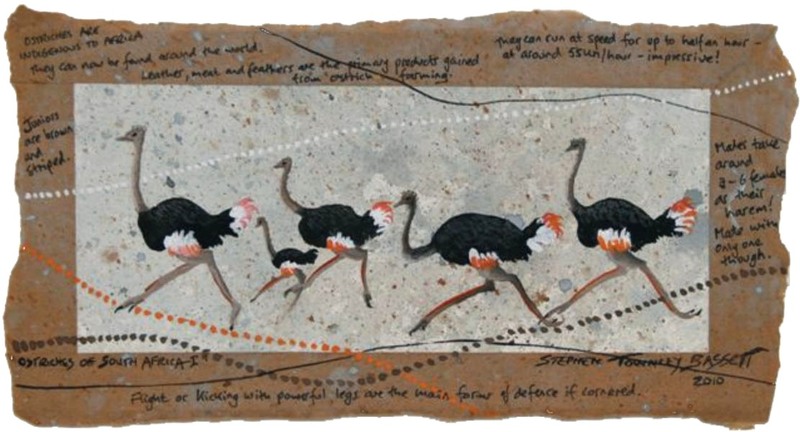 Stephen Townley Bassett is certainly no ordinary artist. Neither are his methods, theory or practicality. Many believe he has barely scraped the surface of the potential his art will live up to in the future. 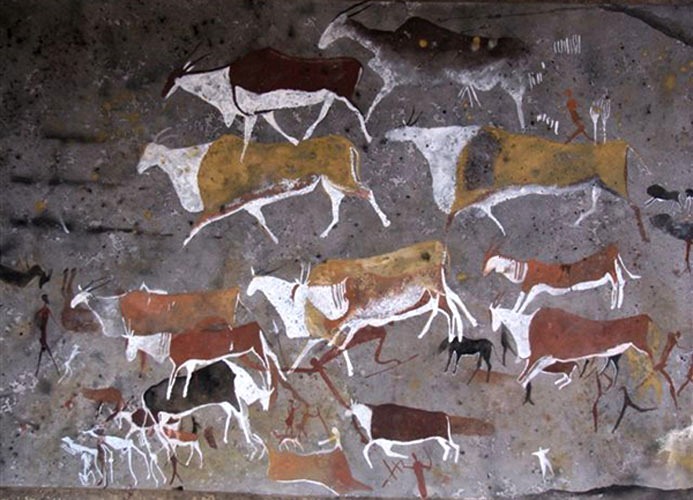 If ever one day you hear about the African who dedicated his life to rock art and the preservation of this dying culture, who captured time old images before being lost forever, then always remember we were the first to tell you about the artist, Stephen Townley Bassett. There’s greatness about this man and his art. 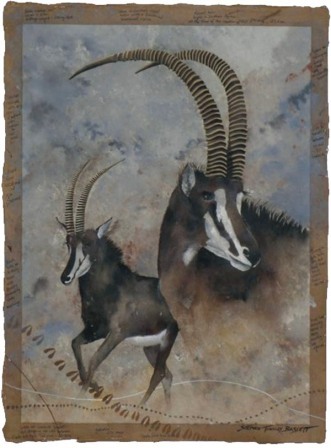 If you’d like to hear more about Stephen and his art on your next safari or would like to purchase some of his work, then drop us a mail on hunting@johnxsafaris.co.za . Both originals and prints are available.